Non-Allergic Rugs: Myth or Reality? Do carpets cause allergies? Non-Allergic Rugs: Myth or Reality? Do carpets cause allergies? Rugs have remained a popular type of floor covering and a decoration option for centuries, because they are soft, improve acoustics and insulate living spaces, with amazing ease. However, a beautiful carpet that has adorned your house might be making you sick – not according to us, but to many others. Including, some carpet manufacturers who seem to think so. What is this discussion really about? 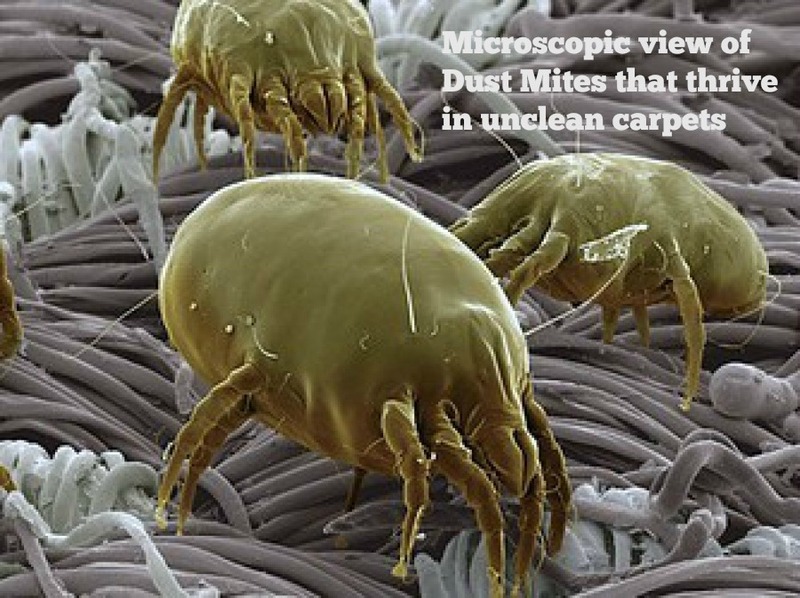 While some people believe that mites get stuck in rugs and grow there, the fact remains that these allergens exist only in places with excessive moisture. Mold growth is possible in areas with poor cleaning and maintenance. So, by eliminating sources of excessive moisture and controlling humidity, you can reduce the growth of such allergens. Vacuuming and drying your rug under the sun is the easiest way to keep away the growth of dust mites. Did you know? Seagrass natural rugs are highly water resistant, making them naturally less prone to mites and mold growth. VOCs refer to Volatile Organic Compounds that can be commonly found in synthetic carpets and rugs. VOCs are emitted after the installation of carpets and aren’t evident until, or unless they emit a funky smell. However, most interior furnishings emit VOCs only for a limited period of their installation. Most research studies suggest that emissions from new carpets are in fact among the lowest for any household indoor furnishing option and it can dissipate within 24 hours, with good ventilation. Do you know? Handmade, natural rugs don’t need the kind of chemical-heavy installation that wall-to-wall carpeting requires—you get a comforting underfoot without VOCs! The Swedish Institute of Fibre and Polymer Research concluded that carpets and rugs have nothing to do with causing asthma or allergies. In fact, as per the research, while the use of carpet in Sweden had steadily decreased since 1975, the occurrences of allergic reactions in the general population, increased. 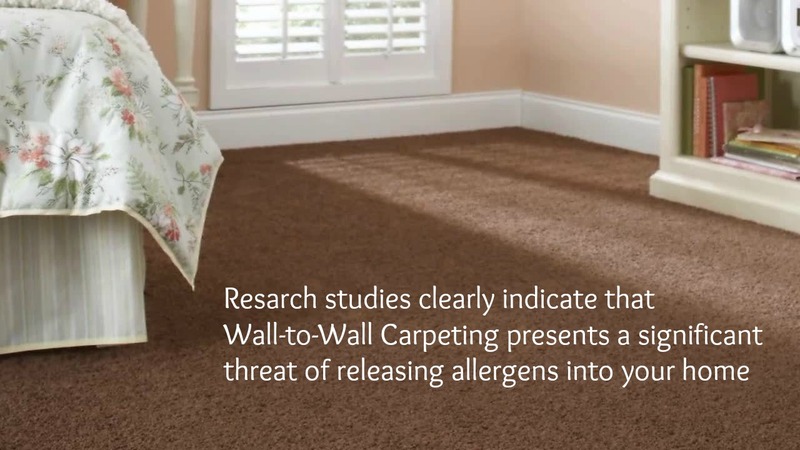 CRI has also not come across any study suggesting a link between carpets and asthma, or allergies. You would be surprised to know that some statistical studies indicate that properly vacuumed carpets are indeed known to reduce asthma symptoms. Do you know? Hand-woven rugs are the least likely to induce allergic reactions. 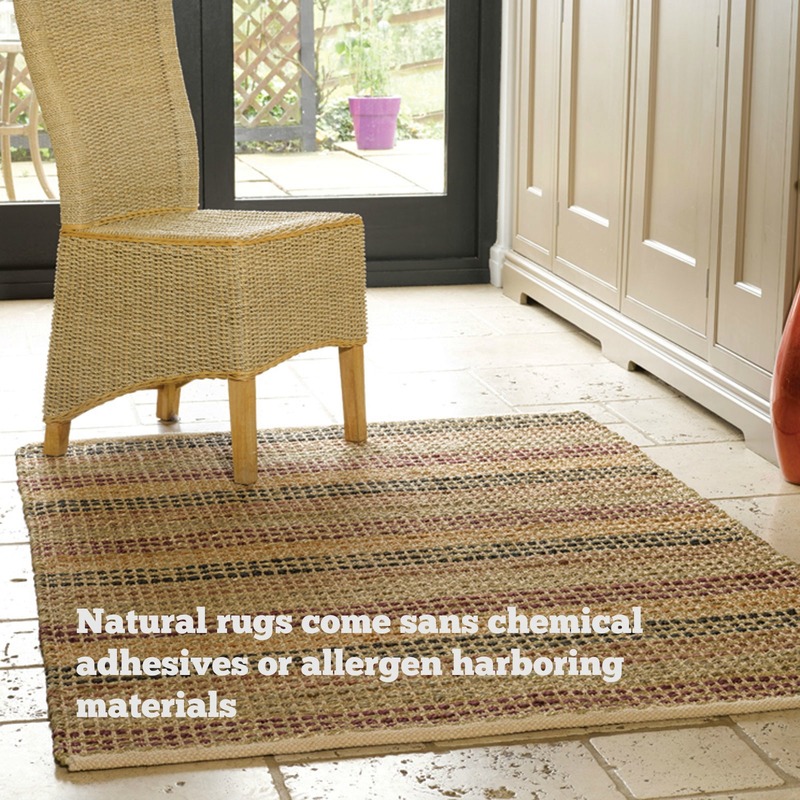 The presence of plant-based fibres from bamboo, jute or coir, don’t present the kind of allergy risks associated with synthetic materials used in manufactured machine-made carpets. Extensive technological assessment of materials used in the manufacture of carpets as well as of the emissions from a carpet, suggests that emissions from a rug present no health risk amounting to a serious public health concern. Any dirt, dust trapped in a rug can be effectively removed through vacuuming—it does not impair the Indoor Air Quality (IAQ). You can opt for vacuum cleaners bearing the CRI IAQ Green Label to feel assured about comprehensive removal of common allergens. We believe this misconception is due to the kind of adhesives and synthetics used in wall-to-wall carpeting that are known to leach chemicals into the indoor air. Do you know? Thick Pile Wool rugs are known to improve the quality of air, as they trap common contaminants like, Nitrogen Dioxide and Sulphur Dioxide, without allowing them to escape into the surrounding air. One common misconception that folks have in mind regarding carpets is the use of Formaldehyde. Please understand that minimal quantities of formaldehyde are emitted during rug manufacturing or installation—a fact substantiated by an official statement issued by the Carpet and Rug Institute (CRI). However, it is very difficult for most people to judge whether carpet installation raw materials carry a high VOC risk, making the entire equation very uncertain. Do rugs need to be given an anti-allergy treatment? If the manufacturing process takes care of not using too many chemical additives, invariably the rug becomes a safe option. It seems that the rug marketplace is falling prey to invasive marketing, where such simple facts are losing ground to claims made by bigger carpet-manufacturing brands. As long as you vacuum your rug regularly, it is more likely to improve the indoor air quality by trapping allergens rather than have them floating around up on the air of your bedroom. If the carpet happens to be in a high-trafficked area, professional cleaning is perhaps the best choice, to lower the chances of allergens being dusted indoors. Don’t read too much into anti-allergy treatments, some might be just an excuse to bloat the sticker price. However, there is an underlying threat to the usual variety of rugs sold at supermarkets. They are likely to have some chemical residues and be non-durable product. Wall-to-Wall and machine-made carpets, are known to test positive for traces of VOCs. A wiser approach is investing in Eco-friendly Rugs—consider hand-woven & hand-knotted rugs made with natural fibres and dyes. These rugs are harmless to children or pets. Sisal, Jute, Bamboo, Silk, New Zealand Wool, Banana-Silk and Hemp are excellent Handmade Rug choices that are not susceptible to allergens, easy to clean and will last for generations to come.